I got home to find a squishy package addressed to me. 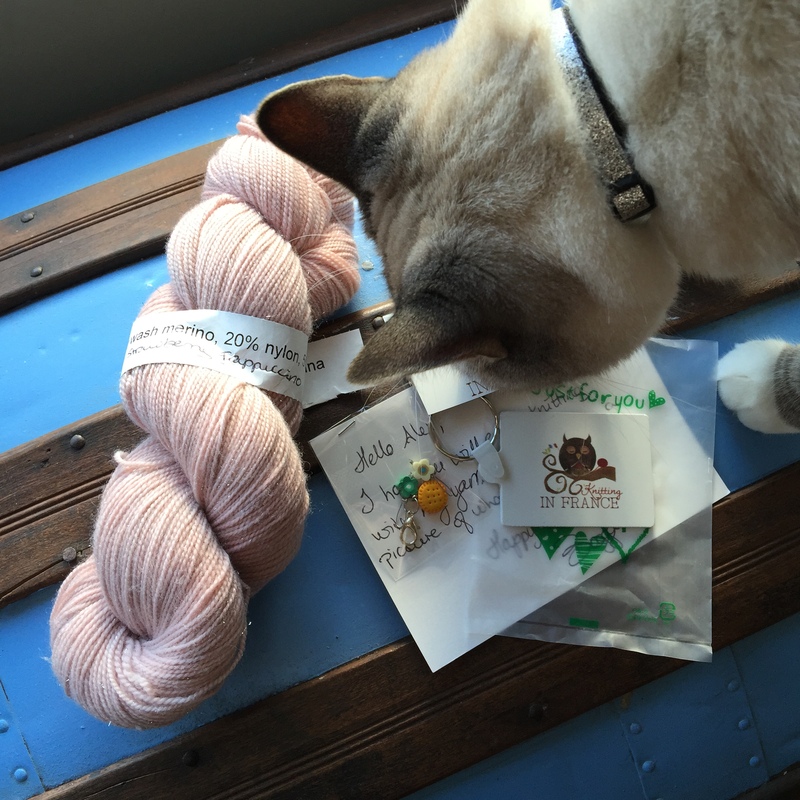 I had a momentary pang of guilt–I’m on a yarn diet! Did I convince myself to buy something and then conveniently forget? 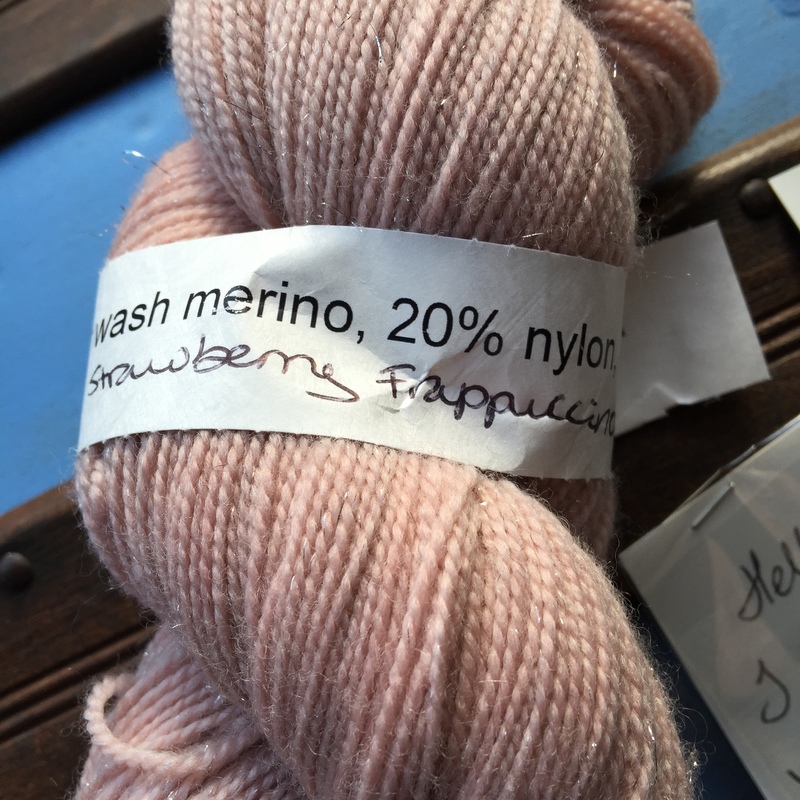 I was sure I hadn’t, but that package said “yarn” to me. Well, it was! 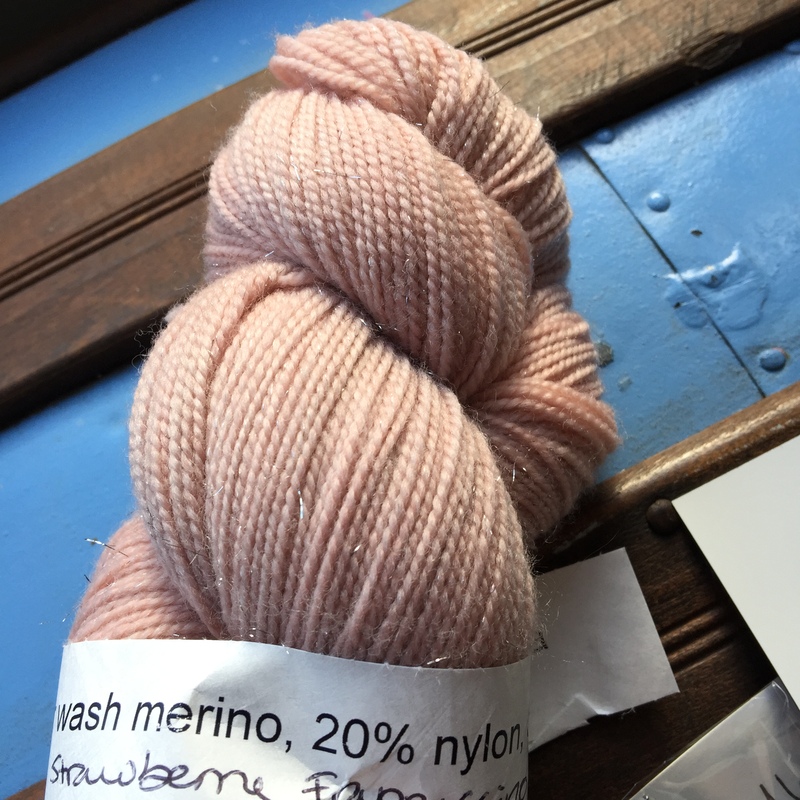 The yarn knittinginfrance sent me arrived already! One of the resident stripeys helped me investigate. 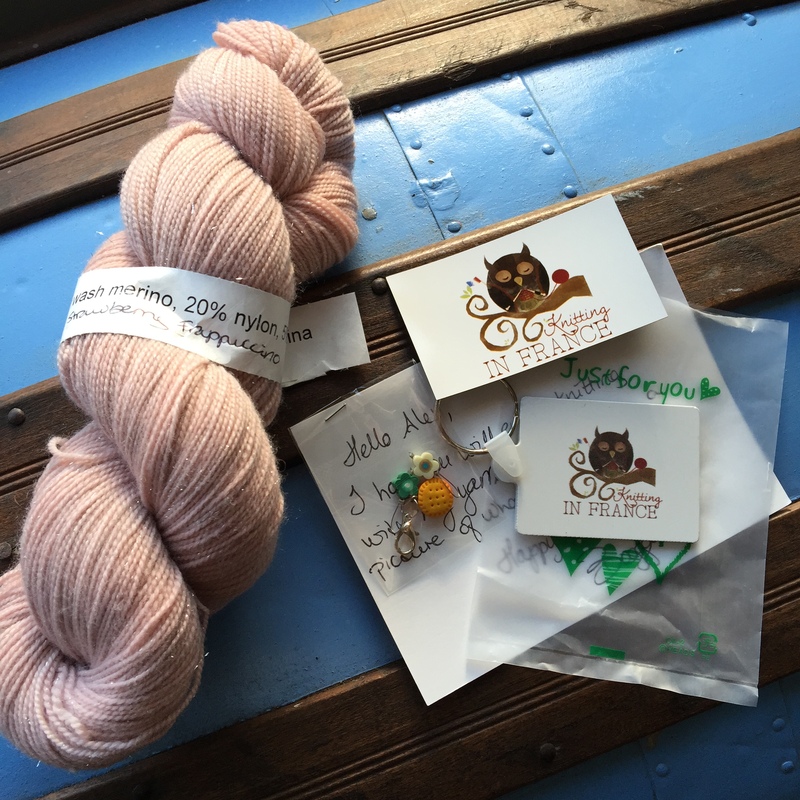 Not only did she send me a full skein of squishy, hand dyed, sparkly yarn, she sent me a lovely note and a magnet, key chain and some seriously cute stitch markers! Can you see the sparkles??? This is going to make some seriously awesome socks. These are going to be great! This pastel pink is soft. What a nice score. Wow! What stunning yarn 🙂 Thank you for the pattern link too! I put it in my Library on Ravelry and will pull it back up when I decide on the next pair of socks I want to make. You can really see the sparkles in the huge picture at the top of your post and it is beautiful!